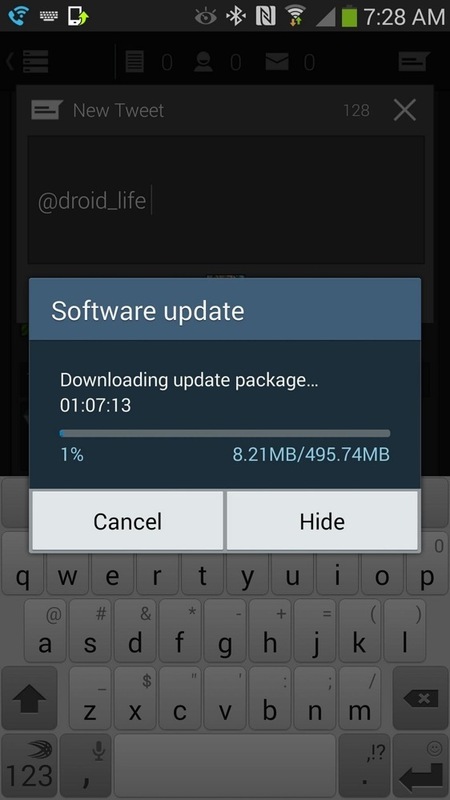 Owners of the Samsung Galaxy Note 3 on T-Mobile, your Android 4.4.2 (Kit Kat) update is ready today. You can pull it over-the-air or via Kies, but understand that the file is roughly 500MB in size. It’s a big one. The build once finished is N900TUVUCNB4 and Android 4.4.2, so you will be running the newest version of Android available. Unfortunately, T-Mobile hasn’t listed a changelog other than “user improvements.” Once we have the list from Samsung (which could be here today), we’ll be sure to update this post. Until then, get to updating! To grab the update, head into Settings>More>About device>Software update. Cheers @bmt626, @ThePhillipBee, @xHyDDRo, @ilostchild, Thomas and Laurel!